Naperville is truly blessed to count among its residents a number of inpiring organizations seeking to promote and celebrate cultural understanding and appreciation within our community. The ThinkingGlobal Arts Foundation is a shining example. Among their many beliefs is that every good thing starts with a dream. For the second year in a row, the ThinkingGlobal Arts Foundation will bring their dream of promoting peace and understanding within our community through their Celebration of Peace 2008. The goal of the Celebration is to educate and inspire residents to embrace Peace in their daily lives through personal reflection, service, reconciliation and environmental awareness. I believe the ultimate measure of any community is the investment of involvement by it’s people. In the end, it’s not what we get in life… it’s what we are able to give which matters the most. Communities are made rich not by the level of material success, but by the wealth of culture and diversity which affords us the opportunity to achieve a greater level of enlightened peace and understanding within our own lives. Money is not what makes the world turn round, rather it is the love and appreciation we have for ourselves and others that matters most. After all, when we delve beneath the surface of our cultural differences we discover the commonality we all share as human beings… leaving “culture” not as something foreign but as yet another rich expression of the human experience. I’ve been in San Diego for the past week attending the American Society of Association Executive’s 2008 Annual Meeting. During this time, I truly felt far away from my cherished hometown of Naperville. Given the amount of dialogue in my industry regarding the “social web”, I couldn’t help but reflect upon my own reasons for starting this blog. 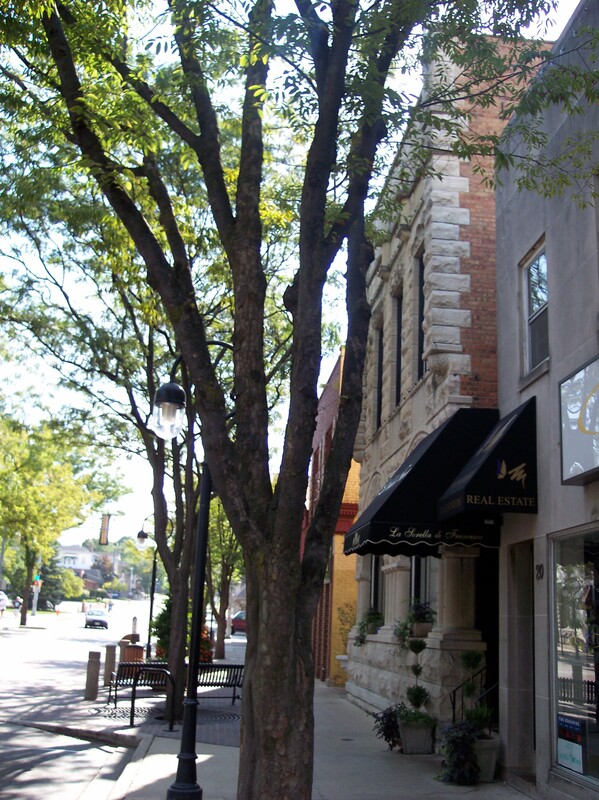 My original intent for creating the World of Naperville was to not only engage in virtual community activism but also to share the best of Naperville with the world. Over the past couple of years, this blog has grown and grown to nearly 37,000 visits as of this date. The focus of my postings has expanded to cover a multitude of topics and I’ve been able to connect with some wonderful people. Over the past couple of months, I’ve also begun contributing to www.examiner.com as the Naperville Examiner to give the rest of the world a more in-depth look at our community. At the same time, I’m beginning to feel as though I’m a bit all over the place which may be impacting my original goal. I’ve always intended for this blog to be both meaningful and interactive with others offering comments and guest postings. Naperville is full of substance and it is that which I wish to focus my energy. In the coming days, weeks and months I will begin to re-focus on my original goal of not only playing a role in community activism but to also promote community involvement. As residents, we all have unique talents and passions to share with the world. Even more, I challenge each of you to consider what may be standing in the way of living your own life of purpose, whether that takes the form of a career or a lifestyle. Naperville is full of successful people; however, I challenge each of you to internalize the question of whether or not your own success is in alignment with your true life purpose and concept of personal success. Life is so much more than what we have… it’s ultimately what we are able to give back which determines true success, happiness and fulfillment. A couple of days ago, my seven year-old, Jake, asked if he could watch TV. Now as most parents out there at this point in the summer will relate, we are all trying to keep our kids mind’s sharp. Thus, I told him to use his mind and do something creative. With his insistence, I’ve posted the result on YouTube; however, I welcome each of you to the official World of Naperville Premiere below. Click Here if you cannot access the embedded video above. Set Designer – Jake; Assistant Set Design Assistants – Ben and Wendy; Set Design Consultant – Stuart; Storyline – Jake and Stuart; Animation Artist – Jake; Photography, Video & Editing – Stuart; Partial Set Demolition – Ben (younger brother). If anyone is wondering, the film consists of a sequence of 96 still photographs taken with a Nikon D40x digital camera and transferred to video for final editing. This photograph was taken near the corner of Jefferson and Main looking toward Washington. Perhaps the most interesting feature is how it highlights the large trees which have been preserved over the years and appear to be growing out of the sidewalk. If you were to go back in time nearly 100 years ago you would be able to take this same picture of the feature buildings, yet the streets were made of dirt and true “horsepower” served as the primary mode of transportation in Naperville. 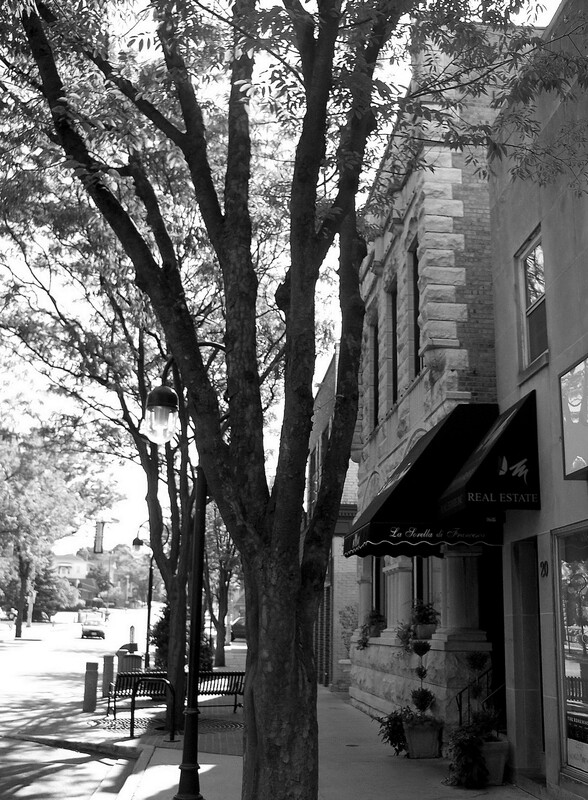 Over the years, the architecture has been preserved as trees added as yet another unique reminder of how Downtown Naperville has been carefully preserved over time. It’s going to be a beautiful weekend, why not spend a day in downtown to take a closer look at our history. 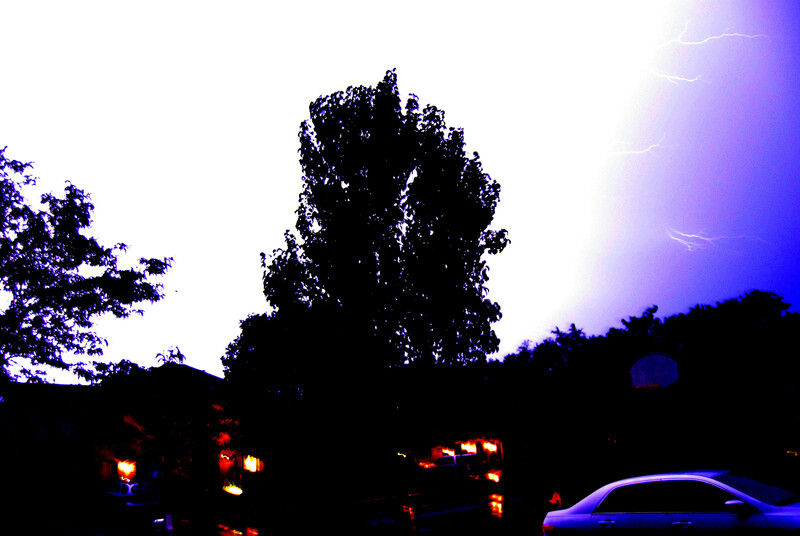 August 4, 2008 – It’s been one stormy night in Naperville with numerous tornado warnings, high winds, sheets of blowing rain and plenty of strobe-like lightning. I’m already hearing chainsaws in the neighborhood likely tending to downed tree limbs. It started with obscure warnings breaking through on cable television from the emergency broadcast system which was illegible at best. We then turned the channel to WMAQ NBC Channel 5 and just as the specifics of the tornado warnings were flashing across the screen, the show went to a commercial break and the sevre weather news disappeared to make way for a Coca-Cola commercial. Not a very responsible act to viewers in the middle of what we experienced this evening. It’s disconcerting to see the almighty ad dollar can trump the wrath of deadly storms and tornados ripping through the area. Thank you Coca-Cola and NBC Channel 5. Needless to say, as the house shook, we did not hesitate in getting the boys out of bed and down to the basement. I captured the picture above from from my front porch after the system moved eastward with lingering lightning filling the skies. As I sit on the couch this evening safely entombed in air conditioned bliss away from the cadence of cicadas and silent assault of those winged blood-sucking buggy wonders, my thoughts have turned to the reality that August has arrived and yet another summer is amazingly starting to wind down. In the mailbox today was our subdivision’s newsletter and the front page news is already talking about inevitable pool closing for the season which will take place within mere weeks. Like most summers, we once again approached the season with great optimism at all the things we would do as a family together. The boys are growing rapidly and seizing greater independence. In terms of pool time, my oldest is already preferring to wander off and play pool basketball with other kids. It seems like yesterday that we were bunkered down with our newest baby who is now four years-old and I was just teaching my oldest to ride his first bicycle. As a father, I try to observe my little guys as closely as possible carefully recording these moments in my mind… the facial expressions, the way they pronounce their words, the inventive things they say, the simple pleasures of summer they take such great joy in, the manner in which they process the world, the many questions they ask all the time knowing that by the time next summer arrives these moments will live on in the memories we have of these fleeting days of summer and our children’s lives. 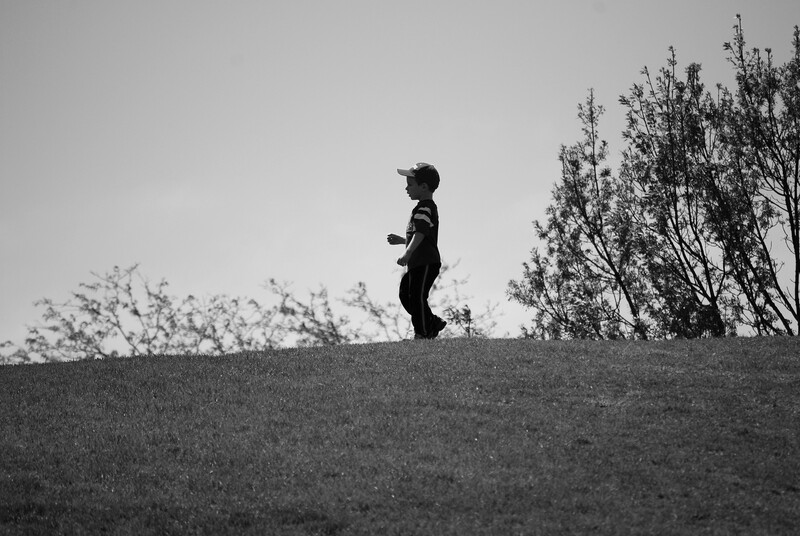 I will always feel a slight sadness for all the time I spend on the road driving back-and-forth from work knowing I’ve lost yet another opportunity to get to the pool, the zoo, the park or just running around in the backyard. Though, I always make the best of the time I have and, as you might suspect, snap plenty of pictures that capture their personality which will forever serve as documentation of these precious days.